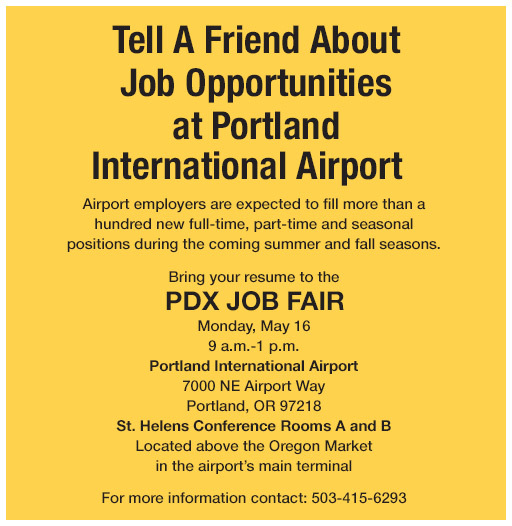 Looking for a Job @ PDX? Hiring Utility/Dishwasher Position for Kenny and Zukes at PDX Airport. Reports to Restaurant Manager. Description: Maintaining the dish pit, executing all cleaning duties and during slow time ensuring that the Restaurants are stocked with product from Storeroom ultimately resulting in the highest level of guest satisfaction. Shifts are available Monday - Sunday . Weekends are a must. Line Cooks - Shifts start as early as 10am and end as late as 11pm We offer Full-Time Team Members Health/Dental/Vision, 401K, Subsidized Monthly Trimet Pass, Free meals on days you work, Vacation Pay, Discounts on Food at 15 Restaurants within the Airport, and an Employee Referral Program! There is no better place to work at PDX! Come in and talk to Chef Eugene, he's looking for a few great full-time individuals to join our Team with opportunity to grow. Competitive wages, will pay based on experience. Offer lots of benefits--paid employee meals, paid parking, health/dental insurance options, 401K, plus some other fun stuff! Come talk to us today! Conveniently located Pre-Security, Beaches Restaurant & Bar is looking for energetic, outgoing individuals with serving experience. Like working with people and having fun? We would love for you to come in and talk to us...we will have you fill out an application and talk to a manager. Come choose fun with Beaches PDX! Mo's Restaurant at PDX is now hiring full-time and part-time Front Counter Cashiers! We are currently offering a $200 hiring bonus! 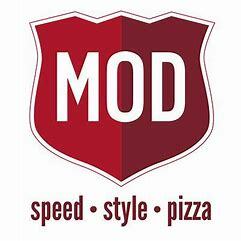 Not only do we have the best clam chowder but we also have the best crew, we're just looking for a few more awesome and reliable people to join our team:) Please submit a resume to mospdx@moschowder.com. All applicants will be considered. We will be emailing people back immediately. Mo's Restaurant at PDX is now hiring full-time and part-time line cooks! We are currently offering a $200 hiring bonus! Not only do we have the best clam chowder but we also have the best crew, we're just looking for a few more awesome and reliable people to join our team:) Please submit a resume to mospdx@moschowder.com. All applicants will be considered. We will be emailing people back immediately. Mo’s Restaurants are an icon of the Oregon Coast. We are high volume, fast paced, family restaurants that thrive on providing our guests with an excellent dining experience. We are looking for motivated, hardworking, ambitious leaders to become core members of our Mo’s family. If it excites you to follow your passion in an environment where work and play mingle, come see what life is about at Mo’s. ***Please see attached document for "How to Apply"
Alamo is looking for a Full Time Exit Booth Agent! If you are detail-oriented, enjoy working with people, and love the hustle and bustle of the airport, this is the job for you! Starting pay is $12.75 per hour with performance bonuses available. Employees can earn up to $15 per hour including incentives. It is a union position and schedules can change every 3 to 4 months based off seniority. Interested? Apply today! Alamo has an exciting opportunity for Part Time Greeters! If you enjoy a fast-paced environment and love working with people, look no further! Our greeters help to provide friendly and efficient service to our customers. Starting pay is $12.60 per hour. The current shift we are looking to fill is: Wednesday - Saturday 5:00pm - 1:30am. If this sounds like the job for you, apply today! If you are a friendly, detail-oriented person who enjoys a fast-paced work environment, this is the job for you! Our Exit Booth Agents provide friendly and efficient service to our customers at the gate, while verifying contract information and answering any questions. Starting pay is $12.75/hour plus performance-based bonus incentives. The overnight shift we are looking to fill is Friday and Saturday nights: 12:00am-8:30am. Interested? Apply today! Do you enjoy a more active position? Do you enjoy working with customers? National/Alamo is hiring for Part Time Return Agents! Our return agents greet customers upon return of their rental vehicle, check the vehicle condition, review final charges, and ensure that are customers are leaving happy. If you like a fast-paced and fun environment, this is the job for you! Starting pay is $12.75 per hour and there are bonus opportunities available. Interested? Apply today! Looking for a fun part time job? Love working with people? Love driving? Look no further! Alamo has an exciting opportunity for a Courtesy Shuttle Driver! Our courtesy drivers transport our customers between the airport and car rental facility in a safe, courteous manner. Starting pay is $12.75/hour plus tips. This position is subject to DOT requirements including a pre-employment drug test and physical. Interested? Apply today! Enterprise is hiring for a Customer Assistance Representative for our ready line! Our reps greet customers, help them select a vehicle, complete the rental contract, and answer any questions while providing outstanding customer service. This position offers 40 hours per week with benefits available. Starting pay is $13.50/hour, and we offer performance-based bonus incentives -- aka the opportunity to earn more $$! Sound like the job for you? Apply today! National has an opportunity for a Return Agent! Our return agents provide superior, friendly, and efficient customer service during the return process. If you enjoy helping customers, are detailed, and enjoy fast-paced work environments, this is the job for you! This position offers 40 hours per week with benefits available, such as medical, dental, vision, 401k, and paid time off. Starting pay is $12.75/hour and comes with performance-based bonus incentives! Interested? Apply today! Want a job where you can listen to music all day? If you are detail-oriented and like working independently, come apply for our service agent position! Our service agents clean the interior and exterior of our vehicles in preparation for rental. It's fast-paced, fun, and you can have your headphones on to play your music while you work! Starting pay is $13.50 per hour with performance bonuses available, and the average monthly bonus can bring the pay up to $14.80 per hour! Love working with people? And driving? We’ve got the job for you! Alamo courtesy drivers transport our customers between the airport and car rental facility. Starting pay is $12.75/hour plus tips. This position offers 40 hours per week with benefits available. This position is subject to DOT requirements including a pre-employment drug test and physical. Alamo employee parking is provided free of charge. We've also got some sweet discounts on rental cars, mobile carriers, & more! Apply today! Country Cat at PDX is currently looking for experienced Line Cooks to join the team. Basic Function: Preparation and plating of all items on the brunch/dinner menu, including daily specials. Qualifications: Must have at least two years of experience working in a quality restaurant. Competitive Pay! The Aircraft Cabin Agent is responsible for cleaning and conducting security searches on designated aircraft according to Company, Client, and Regulatory policies, specifications and standards. Employee will clean aircraft interiors including crew rest and bunk areas, lavatories, galleys and cabin area. This position is overnight 10pm to around 6am or whenever job duties are complete. Need a driver license. The Aviation Customer Assistant is responsible for assisting airline passengers at the Airport requiring assistance other than transportation. We are currently looking for part time. Around 30 hours a week. Flexible schedule, available 0500 to 0030. This position can be physically demanding. On your feet for 8 hours a day, push/pull 50 pounds, lifting up to 100 pounds. The Cleaner provides the cleaning and upkeep of the leases space in the airport. Duties may include cleaning and maintaining carpets and hard surface floors by vacuuming, sweeping and mopping floors. Dusting furniture, pictures, ventilation, lights and blinds, emptying wastebaskets, cleaning windows, restrooms and other normal cleaning duties. Must be flexible in other duties as assigned by supervisor. Benefits at no cost to you after familiarization period. Ensure that all cars are inventoried into our database overnight. Full-time, graveyard position. Pay rate is $13.75 an hour and we also offer free medical insurance. Perform light janitorial work around the office (refilling supplies, vacuuming, mopping) and assist parking customers with flat tires, jump starts, and locating their vehicle. Performing vehicle inspections, maintaining cleanliness of bus interiors, logging trip counts and assisting disabled passengers. Responsible for being at work every scheduled day, on time and in uniform. Possess a valid state-issued driver’s license to be carried with driver, at all times, while on duty. Courteously assist Customers by answering any questions they may have. If necessary, direct the Customer to the Facility Manager for further assistance. Communicate effectively and professionally with all customers, providers, airport personnel, co-workers, and supervisors. Memorize and follow procedures concerning customer service, transportation options, and airport regulations. Work as a teammate in a fast-paced environment while remaining calm and proactive. $15.00 PER HOUR TO START. Medical and Dental after 90 days. A Bag Jammer Technician is responsible for delivering luggage and clearing bag jams within the airport baggage handling system. Reliable transportation, flexible schedule and a valid driver's license are required for this critical airport function. Physically demanding at times, shifts are 30 to 40 hours per week. Come join our team! Temporary position to start June 10th through Sept 8th to help sort, straighten and scan baggage. This position is physically demanding. Must have reliable transportation. 4:00am to 12:30pm. 32 to 40 hours a week. $14 hourly. Looking for dishwasher to join the Country Cat Team! Kitchen Experience, preferred but not required. Qualifications: Must have at least one year of dishwashing experience. Must have at least one year of food prep experience Must be able to lift up to 50 lbs. Must be able to work mornings. Competitive Pay! As a Baggage Handler/Ramp Operator, you are required to safely lift, load, unload, and transport baggage, mail, and cargo to and from aircraft, in addition to being responsible for on-time connections by guiding incoming and departing aircraft from the gate positions. In addition, it is important to safeguard cargo, baggage, and mail from damage, loss, and weather. Capers Cafe is looking for energetic counter people for our busy high volume cafe . We are looking for AM 5am-1pm, & PM 1pm to close. Must pass FBI background check. Flexible scheduling, Staff members should be avle to work weekends and holidays. Starting pay is $13.75 to $14.50 D.O.E. + tips. Strong candidates will be considered for a more lead position after a 90 day review period. Must be able to handle a high volume and stress environment. Peet's Coffee is looking for Part-time Barista. Must be able to work early mornings and weekends. Pay is $12 plus tips. Stumptown Coffee is looking for part-time Barista who will be able to work early morning shifts and weekends. Hours of operation is 3am-1030pm. Pay is $12 plus tips. Potbelly Shift Leaders are our future AMs and GMs! They are tasked with making Potbelly the best place for lunch during their shift by managing and developing Associates to execute outstanding product quality and customer service, and to build sales and control costs. A Potbelly Associate’s job is to make our customers really happy. Since they are the primary point of customer contact, it is up to them to provide our customers and excellent experience by providing fast, friendly and efficient service and by delivering a quality and consistent product every time, in a clean and inviting environment. Capers Market is hiring cashier/retail floor staff with shifts beginning at 330 am. Dependability, a solid work ethic, positive attitude, dependability, punctuality, excellent customer service skills, and ability to work in a fast paced environment are all qualities we look for. We offer a generous starting wage, free parking, full time hours, and a great group of people to work with. Open availability a plus! Do you like people? Do you like talking to people? That's what we are looking for here at Beaches! We like to have fun, and want you to come join our team so we can have fun together. We are located Pre-Security by the D/E Gates....come on in and fill out an application. We would love to meet you and talk about the fun opportunities we have at Beaches and the benefits we offer. We are accepting applications now for Cashiers and Counter Service positions. Our mission is to amaze our guest, impress the team and choose fun every day. Beaches at the Portland Airport is looking for line, pantry and prep cooks with experience and skills. Please come on in and fill out an application, ask for Chef Eugene or Chef Chris, they would love to meet you. We provide great benefits including paid meals and parking. We offer competitive wages at a restaurant that chooses fun! : Enjoy being active? Enjoy driving? Look no further! Enterprise @ PDX is looking to grow our driver team. Our drivers help move our cars around the airport property. It's pretty cool being able to drive all those newer vehicles! This is an active position, and can require a lot of walking. It's almost like getting paid to get your steps in some days! Starting pay is $12.10/hour. We've got benefits available for FT employees along with some pretty sweet discounts, and free parking onsite. Looking for a line cook, Monday-Friday 2pm-8pm $15 per hour for line cook shift $13 for Cashier. Plus tips. Must have line cook experience and be able to handle high volumes on Grill and Fryer. Ready Jet Inc is seeking motivated individuals for aircraft cleaning and appearance services. Must have the ability to pass FAA background checks,all drug testing as well as any other pre-employment requirements. Must possess High School diploma or GED. Must have the ability to read, write and speak basic English. Must be able to lift over 25lbs. Must be 18 years of age or older. The PDX TSA is hiring Part Time (20 - 32 hours) Transportation Security Officers! $16.60 per hour with full medical benefits and federal retirement. Must be over 18 years of age, have a high school diploma or GED equivalent, and be a current US Citizen. Apply today and start your federal career by clicking the link! At Your Gate is looking for outgoing, ready to rock, Brand Ambassadors to promote the coolest thing to hit airport terminals to date! AYG is like Uber Eats except we are in PDX on-foot! 1-2 years experience or training in sales, marketing, customer service, sales, marketing, promotional marketing, or communications preferred. Be able to hurdle and hustle through the airport to deliver online orders smoothly and professionally. P/T position 20-30 hours/week. $15/hour + tips and incentives. The Asst. F&B Operations Manager is an entry-level management position responsible for day-to-day supervision of non-management associates, focusing on store level operation performance, coaching and developing of non-management associates and performing all other responsibilities as directed. This position provides an opportunity for entry-level managers to learn management skills and practice judgment and discretion skills. This is a non-exempt position and reports to the F&B Ops Manager. The Shift Supervisor is responsible for assisting management in monitoring the day-to-day activities, aiding in productivity, assigning responsibility for specified work and/or functional activities, giving work directions, and monitoring scheduling for adequate shift coverage. This position also maintains knowledge of and monitors compliance with all corporate standards. Wage is $14.50/hr + tips! If you start work between 3:00am- 3:45am you get an extra $1 p/h! The Barista is responsible for fulfilling orders and completing sales transactions within a Starbucks establishment and performing other support functions which may include cleaning the food preparation, customer seating or stock areas and maintaining inventory; performs all other responsibilities as directed by the business or as assigned by management. $13.25 + tips! Great benefits, holiday pay, fun environment! If you start work between 3:00am to 3:45am you get an extra $1 an hour! Meet inbound and outbound flights to provide services with wheelchairs, aisle chairs and to passengers needing special assistance. An Airport Passenger Service Agent works at an airport facility and provides assistance to passengers traveling in wheelchairs. Responsibilities include pushing passengers in a wheelchair to and from their arrival/departure gate, and assisting passengers with moving luggage to their vehicles, taxi stands, parking shuttle stations, and rental car stations. Wheelchair Attendants must maintain a friendly and positive attitude and always be attentive to each passenger’s individual needs. Looking for someone that enjoys being busy and staying active. This restaurant is always busy and never says sorry. If you want to work on a team that never says quit and always answers the call. Send me an interview request and we will see if you have what it takes. We at Henry's are looking for an individual that love to work in a high volume environment. We are looking for someone that is looking for full-time or part-time work. I don’t pay minimum wage because I don’t want your minimum effort. If you want an easy job, please don’t apply. Only the strong survive here. Spots will fill fast so please don’t hesitate. We are looking for people for early morning, mid shifts and closing shifts on all days of the week. The position makes tips if you have the right personality to work with the public. This is a great entry level position for people who would like to grow with our company. Mo's Restaurant at PDX is now hiring full-time and part-time food Prep-Cooks! We are currently offering a $200 hiring bonus! Not only do we have the best clam chowder but we also have the best crew, we're just looking for a few more awesome and reliable people to join our team:) Please submit a resume to mospdx@moschowder.com. All applicants will be considered. We will be emailing people back immediately. **This position is at the Portland Int'l Airport ** **Sign on Bonus $ 250 after 90 days & $ 250 after 180 days of continuous employment ** Must meet the criteria of - No Issues with : Attendance , Write Ups and Safety Description You will be driving and operating small specialized commercial vehicles at times and as such you will require a valid driver’s license with a clear driving record. Hertz Car Cleaner Attendant! Candidate must have a clean driving record and possess a valid US driver's license. This is an hourly paid position and pay is based on current scale. Nominal overtime required as needed. We are searching for passionate goal oriented individuals who can work in s fast paced environment and never miss a beat. No matter what your background, the will to succeed is the biggest pre-requisite for the job. If you can see your future aligning with ours apply for sales associate full or part-time. We are looking for applicants that are self driven and motivated to be the best! We are looking for you to become a shift manager with McDonalds. $15.00 pay rate an hour, paid parking, flexible schedule if needed, job security, educational grants. We are a locally owned and operated franchise! Are you an experienced hospitality professional looking for PT work? Our ideal candidate will have airline customer service experience and excellent written and verbal communication skills as well as a high level of Social Media knowledge. This position will work varied hours including nights and weekends. If this sounds like something you are interested we would love to talk to you. **This position does not guarantee a set number of hours per week and is an ongoing temporary position. Majestic Terminal Services is looking for a skilled Ground Support Equipment (GSE) Mechanic to assemble, maintain and repair machinery, and vehicles. The Ground Support Equipment (GSE) Mechanic diagnoses malfunctions and repairs Ground Support Equipment. GSE Mechanics are responsible for ensuring functionality and reliability of machines, engines (diesel and gasoline) and mechanical systems. An excellent mechanic must have manual dexterity and great attention to detail. Ramp Agents handle cargo that is loaded and unloaded from aircraft. They also marshal aircraft, set up and operate cargo handling equipment, and observe relevant occupational safety regulations. The position of Freight Agent is responsible for all aspects of warehouse functions including the receiving, storing, handling, shipping and preparing of product for customer delivery while maintaining the warehouse in a safe and orderly fashion. Become a Pendleton Ambassador and bring your passionate attitude to help us connect generations. We are currently seeking a professional and dynamic full-time assistant manager (40 hours per week) for our store at the Portland International Airport. Applicants must be available to work nights and / or weekends. Store hours range from 5:45 am openings to 10 pm closings, every day of the year. Please be sure to include a complete resume when applying. Henry's Tavern is now hiring! If you thrive in fast paced, busy environments, then Henry's Tavern might be the place for you! We are immediately filling positions for Host, Grab and Go, and SA. We are the busiest business in the airport and are looking for the best of the best! If you are looking for a rewarding and stable job with lots of growth opportunities and an opportunity to make great money, then send me your resume. We are looking for dependable hard workers who want to grow with us! We are looking for a positive minded individual that wants to be part of a great sales team. Retail experience would be a plus. Must love Shoes, Clothing, and Accessories. 16-24 hours a week. Must be available weekends. $12 an hour. Please respond to this ad with a resume attached. We are looking for an energetic outgoing person to join our sales team. Must be able to work nights and weekends. Starting right away. 32-40 hours a week. $12 an hour Please respond to this ad with an attached resume for consideration. Your pay will start above min. wage and will average up to or exceed $15/hr including tips! Join Bambuza and be a part of the group that provides fresh, inviting Vietnamese cuisine to busy, hungry travelers! Good English communication skills are required. AM/PM shifts available. You will need to have/get OR Food Handlers Card & OLCC card (must be 21y/o). We are looking for positive customer skills, good attendance record. FREE PARKING! Apply now! Bkgrd. check required. This Locally Owned & Operated McDonald's Franchise is looking for individuals interested in delivering outstanding customer service. Applicants must be 16 years or older. Benefits that we proudly offer include, flexiable schedules, training & development programs, advancement opportunities, uniforms, meal discounts and affordable health care. Applicants may apply in person or via email to Heather.Kennedy@us.stores.mcd.com This McDonald's franchise is an equal opportunity employer. Hello PDX, welcome to Vino Volo. Immediate opening for part time experienced service professionals and associates. Qualifications: 2 years full service in a food service and or wine service establishment, indepth and extensive wine knowledge is helpful but we will train you, excellent team work a must. We offer a solid tradition of successful concessions and with manageable hours. Contact our team today and lets get you interviewed for a spot on our exclusive roster. Interview TODAY!!! The Retail Sales Associate is responsible for providing excellent service to all customers through direct salesmanship, and prompt and courteous service; completing each transaction in a quick and efficient manner.